Historically, New Year’s resolutions fail. And historically, God doesn’t. The year is brand new. The “reset” button has been pressed and many awoke this morning with a real sense of freshness. A sense that “maybe this year will go better”. So we set goals, we look optimistically at the next three-hundred-sixty-five, and we pray for better relationships, promotions, better marriages. We hope to parent better, teach better, love neighbors more, and so on. But what if the goals we set become nothing more than wishful thinking in hindsight? Many fear this. Remember I mentioned that historically God does not fail. This means that nothing God thinks, or does ever fails Him. His will, His love, His specific plan for you, none of them fail. All He has resolved to do since the beginning of time are unfailing resolutions. Yes, God has resolved. It means “to make a firm decision”. He only makes these kinds of decisions. As Christians in the New Year, we need to set our optimism in the never-failing God. Every goal, even the kindhearted, good-natured, people-helping ones can fail. But God can’t. Instead of saying “I am going to be a better husband this year”, say “God, you are the faithful husband to your bride, the perfect keeper of the vineyard. Pour into me your life” Now your eyes are set on the unchanging God and His faithfulness. Instead of saying “I want to stop my road rage this year and be nicer to people.” say “God, you are gracious, forgiving, loving, and long-suffering. Pour your goodness into me and let it alone flow out of me” Now your eyes are set on the perfection and holy character of the God who never fails. The character He wants you to have. The image of Christ. The real goal is not to live better, but that our lives are wrapped in the perfection of God. The goal is not to change bad habits by introducing newer and better ones. The real need is to repent of sin, and turn to God. Repent of bad morals because God is Holy. See the holiness and unchanging nature of God as your lens for life. If you see that things need to change, then ask God to change your heart before you try to change only the circumstance. 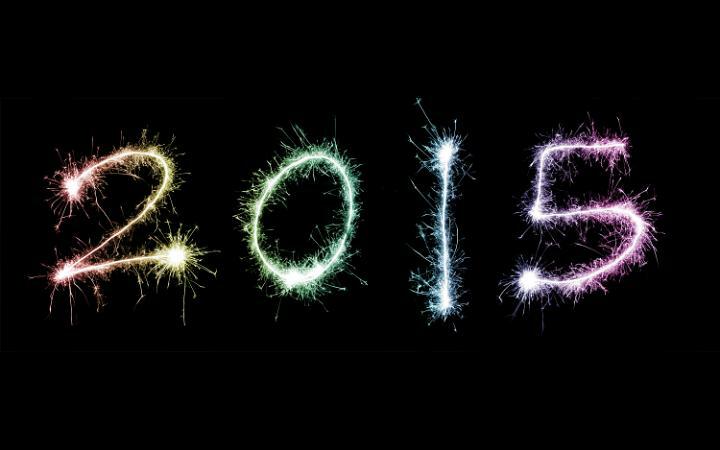 Let 2015 be a God-honoring, Christ-exalting, others-centered, sin-repenting, longing more for Jesus, kind of year.